How to find a good and cheap apartment in central Shanghai? There are a couple of things to consider while moving to Shanghai. Where is your work? Which places do you want to live nearby and how important is it that you live nearby the metro station? Finding a room in Shanghai can be challenging. There are numerous accommodations in Shanghai and some of them have high prices. It all comes down to your budget. If you want to find a big and cheap apartment in Shanghai, living nearby some of the most attractive areas (Jingan temple, French Concession, Zhongshan Park etc.) might not be an option for you. I was able to find an apartment nearby Peoples´ Square for RMB 10,000/month. It has two bedrooms and a small living room – so I share the rent with a friend of mine. 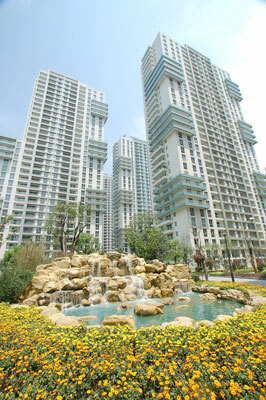 You are helpless in the real estate market in Shanghai without contacting an agent. Finding a room online or through a university is often a possibility for students that only want to rent a room in a shared apartment, but the landlords that deal with those possibilities are often Chinese without any English knowledge. Expats that work and has a budget above 7000 RMB/month are often more likely to contact a company and get the help they need. There are a big difference on companies renting out rooms to students and those who rent out apartments to expats. It is quite common to share the apartment when you are alone and student or an internship which does not give so much salary. Being three people to share a four are often significantly cheaper than renting a studio for yourself. You can contact us if you want us to find an apartment/studio for you in the central part of Shanghai – we guarantee that we will answer your enquiry as fast as possible. 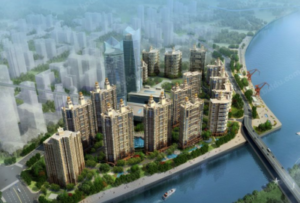 HomeofShanghai Housing – a good alternative in the Shanghai real estate market. newspapers that are available at most cafes and restaurants in Shanghai. I would not say it is entirely necessary to live downtown. The price on apartments in Shanghai are very dependent upon the location, but the metro will take you all over the city for a very small price.